My Website Company Says My SEO is Good But I'm Not Ranking Well. How to elevate your SEO game with advanced concepts, content marketing & whiz bangers. After 20 years of doing SEO work, I am amazed at what people call SEO. The variances between what one company does, what one company does not do and what most companies completely miss are shocking. Doing SEO right requires constant work, trial and error review, daily keyword checks, cross referencing with ppc, link evaluations, analytics reviews, webmaster testing, browser testing, content enhancements, blog development and much more. Tags and content alone will NOT make you great. I am sorry but there is more to SEO than tags and content. I realize most articles on the internet will preach the bible of content but I have tried that, and content is typically not enough to win the game. You need to consider the whole picture. Don’t “set it and forget it please”! Many prospective clients often ask me why they need regular SEO updates if its all about tags. The “set it and forget it mentality” will only get you mediocre results and that is if you are lucky. What is an SEO whiz banger? 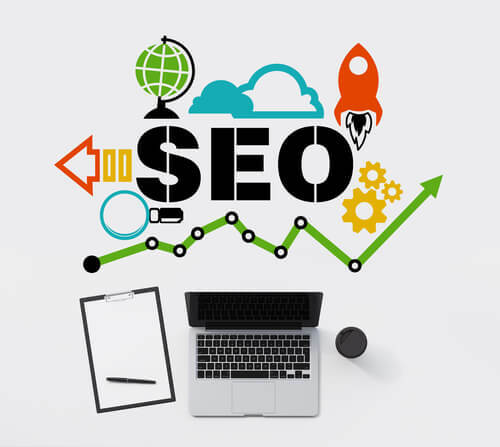 A SEO whiz banger is an SEO play that has dramatic improvement in results. Typically it’s the knockout punch that takes a website to #1. SEO trial and error specialists may try multiple things before they hit the whiz banger. When you get it and you achieve the goal…you are going to enjoy the fruits of your labor. However, this doesn’t mean you can bask in glory for long. You’ll need to develop a conservative defensive strategy to keep your position strong. Have an adequate volume of home page text. Make sure links are easily identifiable by color and text decoration. Quick page speeds & load time. Write copy that is knowledgeable but easily-understood (3rd-4th grade reading comprehension level). Structure pages correctly using do main keyword work in the H1-3 tags along with ALT. Make sure internal links to pillars are correct. Have a findable .xml sitemap & submit to Search Console. Check for broken links & fix. Create & Upload a Robots.txt File – WordPress uses a virtual robots file that can’t be overwritten by a manual one. Use proper title tagging with content reconciliation. Create an FAQ page & answer every question that exists for your niche. Have a privacy statement in footer. Use correct addresses & phone numbers in header. Check the duplicate content filters for duplicate content, internally & externally. Update sitemap when new content is added. Ensure all versions of your domain (www vs non-www, https vs http) redirect properly, with 1 redirect at most. Check all images for ALT tags & all links for title tags. If your website is tagged up with good title tags and meta descriptions but you’re seeing poor page 1 results- you need a change. SEO is not one dimensional. If you live by the code maybe you disagree but my experience is much different. If you’d like to chat about our SEO expertise, please feel free to contact Us.